Downtown Dough | Best Baking Blog- Cookies, Cakes, Tips & Decorating! See the full recipe HERE: http://bit.ly/1dnZfbH —- Learn the BEST vanilla sugar cookie recipe there is with my simple Vanilla Sugar Cookie recipe and tutorial. Everything you need to know to achieve beautiful sugar cookies, perfect for decorating with cookie icing or fondant. No shrinking, no stretching. NOTE: I mention baking POWDER in the recipe video – its actually baking SODA, please go by the written recipe information below and on the blog. Recipe here: http://www.joyofbaking.com/MolassesCookies.html Stephanie Jaworski of Joyofbaking.com demonstrates how to make Molasses Cookies. 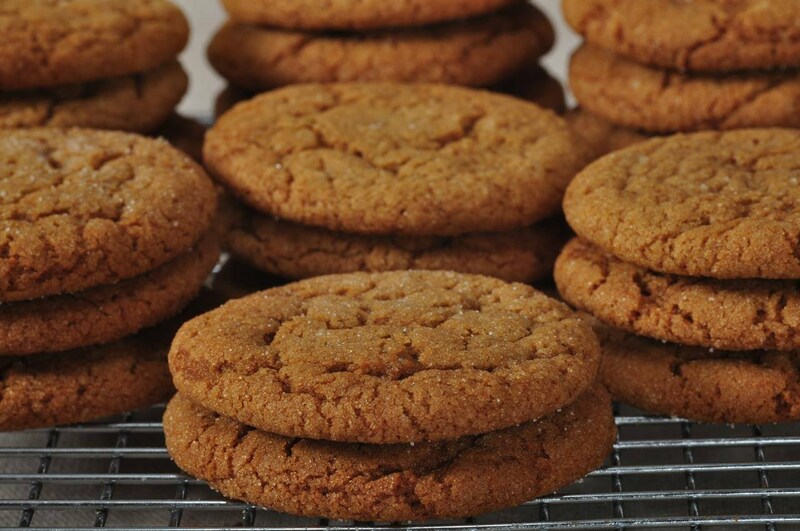 Molasses Cookies are a year round favorite, but they are especially popular during the Holiday season. This highly addictive, sugar coated cookie has a nice combination of dark brown sugar and molasses which pairs perfectly with ground cinnamon, ginger and cloves. They have a rich spicy flavor and a soft and chewy texture that causes my kids to eat them by the handfuls. https://downtowndough.com/wp-content/uploads/2017/06/yt-26221-BEST-CHOCOLATE-CHIP-COOKIE-RECIPE.jpg 360 480 pat-niles https://downtowndough.com/wp-content/uploads/2018/10/DTDrgbp_mobile_188x92.png pat-niles2017-06-21 20:24:422018-11-28 12:16:33BEST CHOCOLATE CHIP COOKIE RECIPE! 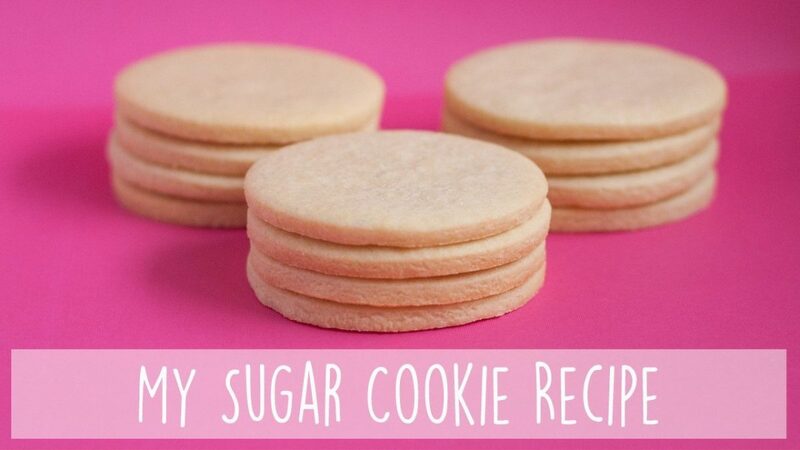 Recipe: How to Make Homemade Sugar Cookies! From Scratch! Easy Recipe Tutorial: Diane makes her Sugar Cookies Recipe: Sugar cookies are simple, sweet and tender, crisp cookies. With varying shapes, cut out Sugar Cookies are delicious plain or decorated with a sprinkle of colored sugar, but best when frosted with Royal Icing. Royal Icing is quick and easy to make at home and just perfect for decorating Sugar Cookies! Make cut out snowflakes for Christmas, hearts for Valentine’s Day, eggs for Easter, scary cookies for Halloween or just make them because you want a sweet, delicious and beautiful cookie! 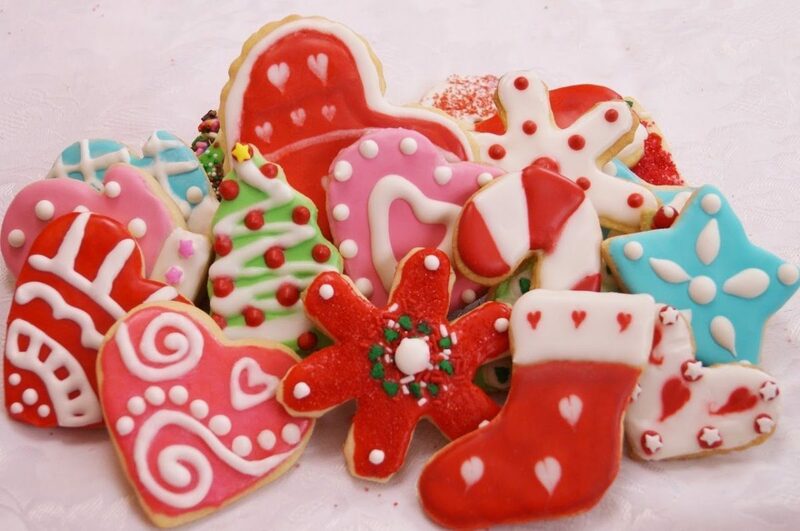 With simple ingredients create beautiful cookies for Christmas or any holiday. Get started and learn how to make Sugar Cookies! Go to my website http://www.DishinWithDi.com for the complete Sugar Cookies Recipe with ingredients and measurements. Dishin’ With Di is an Internet cooking show hosted by Diane Kometa. The show offers viewers a quick and easy way to learn how to cook and bake, as Diane demonstrates recipes, shares baking and cooking tips and more! New episodes are released every week. Diane goal is simple: to make life a little easier, more enjoyable and delicious, for as many people as she can! Sorry I haven’t been posting as much, life is very busy with 3 kids these days. Thanks for watching! 4. Mix baking powder, salt and flour. 5. Add flour mixture to butter mixture about 1/2 cup a time. 6. Turn mixer back on, and mix until everything is combined. Once your mixer can’t do anymore, mix with your hands until you have a smooth dough if needed. 7. Separate dough quarters and wrap each quarter in plastic wrap. You want each quarter to resemble a pancake for easy rolling. 8. Refrigerate for about one hour or until firm enough to roll. 9. Preheat oven to 350 degrees F (177 degrees C) and place rack in center of oven. Line your baking sheets with parchment paper. 10. Remove one quarter of the chilled dough and, on a lightly floured surface, roll out the dough to a thickness of about 1/2cm using a floured rolling pin. Keep turning the dough as you roll, adding more flour if needed, making sure the dough does not stick to the counter. 11. 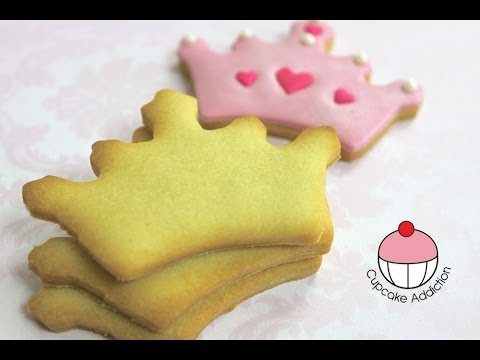 Cut out desired shapes using a lightly floured cookie cutter and transfer cookies to baking sheet. 12. Place the baking sheets with the unbaked cookies in the refrigerator for a minimum of 15 minutes. This will help cookies retain their shape while baking. (I like to do an hour for more complicated shapes). Visit www.bakingwithbest.com for more inspirations. Thanks for watching! Hey everyone! This is the best chocolate chip cookie recipe for chewy on the inside, crispy on the outside cookies! These cookies can satisfy any chocolate craving, and will be gone in minutes at a party! They’re also very easy to make by hand — no stand mixer required! Enjoy, and don’t forget to comment down below and let me know what you’re favorite kind of cookie is! CORRECTION: It should be 3/4 STICK (6 T.), not 3/4 CUP, of butter. Sorry for the inaccuracy! 2. Whisk together flour, baking soda, and salt in a medium bowl. 3. Stir butter, white sugar, and brown sugar until well combined. 4. Add in egg and egg yolk and vanilla extract to butter and sugar mixture, and stir to combine. 5. Add in chocolate chips and mix in until evenly distributed. 6. Scoop out 2 T. of dough per cookie, and roll cookie dough into balls. Place on Silpat or parchment paper lined baking sheet. Bake for 12-15 minutes or until edges are golden brown. 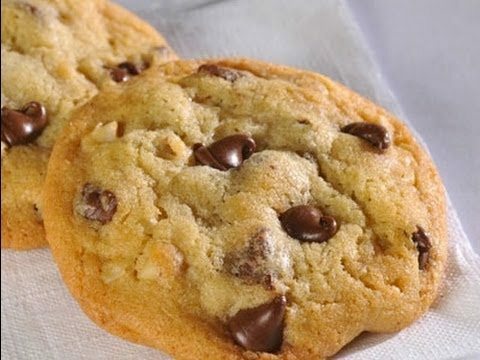 https://downtowndough.com/wp-content/uploads/2017/06/yt-26209-How-to-Make-the-Best-Chocolate-Chip-Cookies.jpg 1150 2048 pat-niles https://downtowndough.com/wp-content/uploads/2018/10/DTDrgbp_mobile_188x92.png pat-niles2017-06-21 20:22:282018-11-28 12:23:23How to Make the Best Chocolate Chip Cookies! 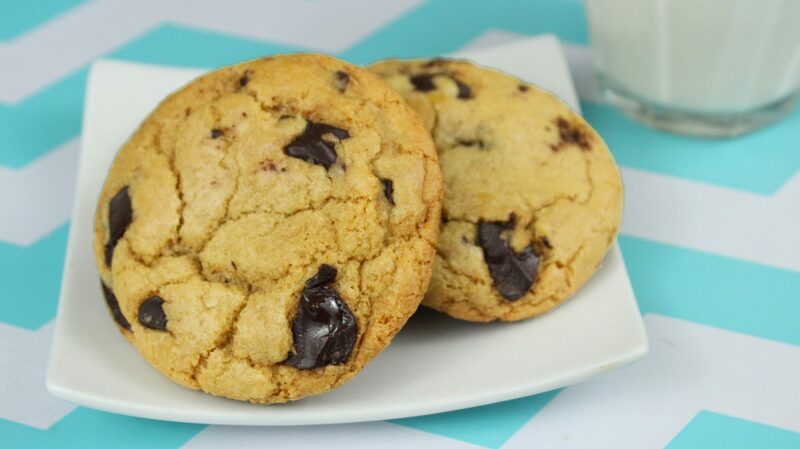 Anna Olson guides you on making the classic chocolate chip cookie. Click on ‘SHOW MORE’ for cooking directions. In this recipe video I’m sharing with you how to make Oatmeal Cookies. This Oatmeal Cookie Recipe is easy to make, producing soft and chewy cookies. I like to make chocolate chip oatmeal cookies but you can easily replace the chocolate chips with raisins to make oatmeal raisin cookies. 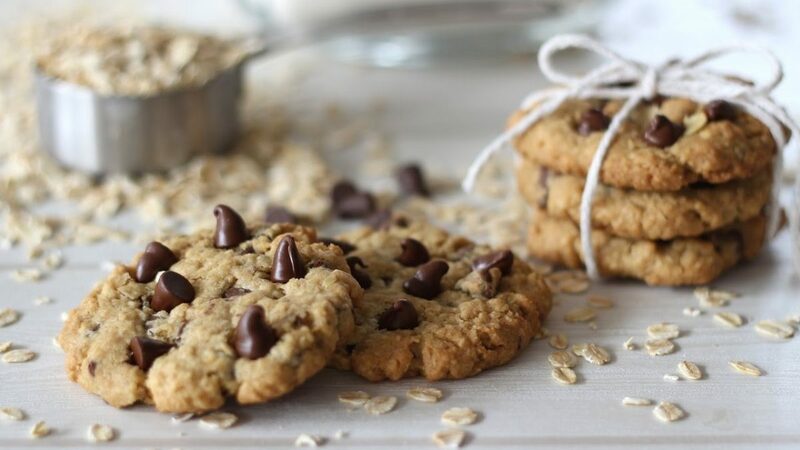 Next time you’re in the mood for baking give these chewy oatmeal cookies a try! So if you would like to learn how to make Oatmeal Cookies then just follow this Oatmeal Cookie Recipe. 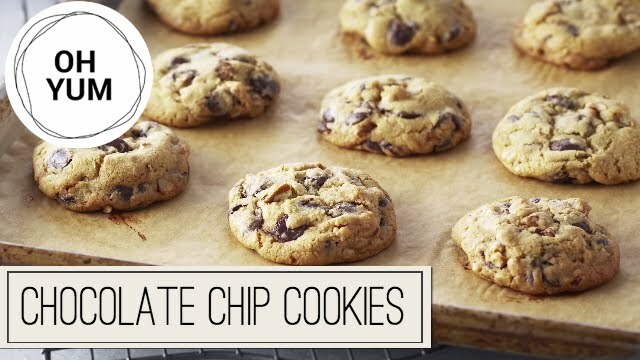 If you like this video and found it helpful don’t forget to thumbs it up and subscribe for more easy cookie recipes videos! I am always on the lookout for more ideas so if you have any requests please leave me a comment below letting me know what you would like to see. In a large bowl cream together the room temperature butter and both sugars until light and pale. Add the egg, vanilla and cinnamon if using and beat until well combined. Sieve the flour, baking soda, and salt into the bowl and pour in the oats. Mix together the dough until just combined before adding the chocolate chips / raisins / nuts. Roll the cookie dough out into balls, about 1-2 tablespoons worth and place on a cookie sheet. Bake in a 180C | 375 F oven for about 10 minutes or until the edges start to brown. Cool for a few minutes before transferring to a wire rack. 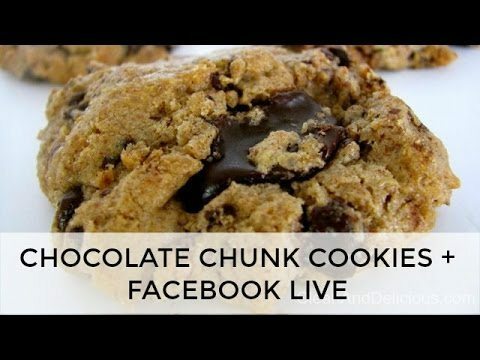 Last week I shared my go-to recipe for Chocolate Chunk Cookies on FaceBook LIVE. These cookies are so easy and insanely delish! Combine almond butter, sugar, egg, vanilla, baking soda and salt in a large bowl and hand mix until everything is incorporated. Drop cookie dough into 1-tbsp plops on a rimmed baking sheet lined with either silpat mat or parchment paper. Bake for 10 minutes. Cool completely and store in an airtight container. Enjoy!